SAULT STE. MARIE (June 11, 2015) – NDP nomination candidate, Peggy Lauzon, critiqued the Conservative Budget on Thursday for failing to address the issues affecting Sault Ste. Marie and Algoma, while robbing the EI surplus to finance tax giveaways to the wealthy few. “This budget is being ‘balanced’ by the EI surplus. That surplus is funded by employees and matched at almost one and a half times that amount by small business owners, so really this budget is being funded on the backs of workers and small businesses,” said Lauzon. The Conservative budget tabled earlier this year ignored calls for greater investment in childcare and affordable housing, while providing billions in tax breaks for large corporations and widening tax loopholes only for the wealthiest few. While the budget offered modest extensions to EI training support benefits for some applicants, it steals the very money intended to pay for those benefits in order to balance the government’s books. The budget implementation bill also provided sweeping new powers to the Treasury Board to circumvent public-sector collective agreements and dictate terms for sick leave and disability programs. The budget was also short on badly needed local infrastructure investment. Proposed transit and infrastructure measures are buried in red-tape and fall short of the NDP’s proposed stable funding plan that was lauded by Mayors at a meeting of the Federation of Canadian Municipalities in Edmonton last weekend. The NDP have committed to investing $1.3 billion each year into public transportation, while increasing municipal gas tax revenue by one cent, generating an additional $1.5 billion for vital infrastructure by the end of the NDP’s first term. The Conservatives have offered only the most reluctant support for maintaining Sault Ste. Marie’s only remaining passenger rail services. Bryan Hayes announced a three-year reprieve for the Algoma Central Railway passenger line to Hearst on its midnight funding deadline. Peggy Lauzon is a small business owner and community developer running for the NDP nomination in Sault Ste. Marie. She is the founder and president of The Aberdeen Group, which provides accounting and consulting services to other small businesses and not-for-profits across Algoma. As a volunteer, she has been actively involved with the Soup Kitchen Health Centre Advisory Committee, the Sault Ste. Marie Family YMCA, St Luke’s Cathedral and the Anishinabek Information Technology Centre, among many other groups. Lauzon also teaches community engagement and strategic planning at Algoma University and works closely with young people to help support their change-making efforts. 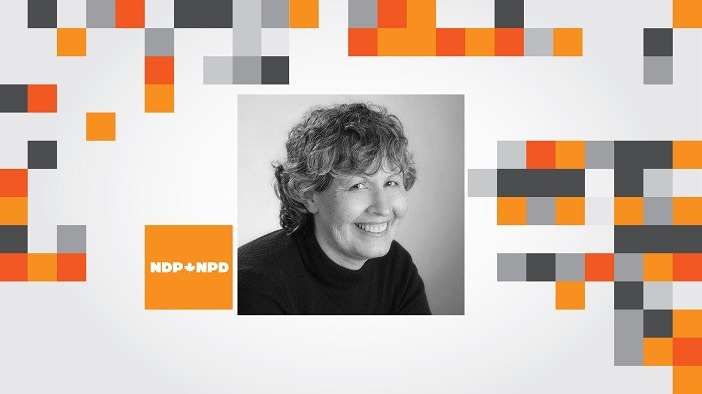 NDP Members will gather 7 p.m. on June 16th at the Delta Waterfront Hotel to elect their candidate for the upcoming federal election expected in October. Follow Peggy’s campaign on her website or via Facebook.